Trustee Marcia Milchiker was re-elected to the board in 2018, to serve a sixth term on the Board of Trustees through 2022. Ms. Milchiker is one of the founders of the Orange County Community Colleges Legislative Task Force and wrote the initial plan to organize the four community college districts for legislative advocacy. She serves on the Orange County School Boards Association Board of Directors where she has held various positions, including Vice President of Programs, Treasurer, Secretary and Community College Representative. She is a frequent speaker in the community and at state and national community college conferences and workshops. 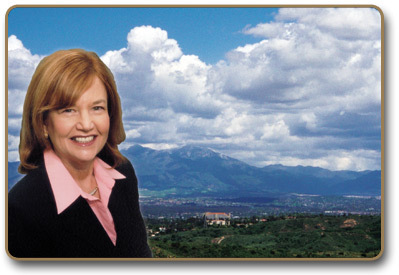 Ms. Milchiker is well-known in Orange County for her involvement in service organizations. She founded the Orange County Chapter of the California Elected Women's Association for Education and Research, where she created and organized the chapter's first events and committees. She has lobbied successfully for funding for local educational programs and facilities, and was instrumental in obtaining local matching funds for the two student service centers in the District. In recognition of her contributions to community education and volunteer work, she was named Woman of the Year by the Association of Business and Professional Women and she received the 2004 Athena Award from the South Orange County Panhellenic Society. Ms. Milchiker earned a Bachelor of Science in Biology from Ohio State University and a Master's in Biology from Cleveland State University. She taught biology in the Rancho Santiago Community College District and directed biological research programs at the Southwestern Medical Group and the Cleveland Clinic Hospital in Ohio. She was also in the Saddleback College Class of 2008 to commemorate earning an associate's degree in Spanish. Ms. Milchiker and her husband, Ben reside in Laguna Hills. You can contact Trustee Milchiker at: mmilchiker@socccd.edu.